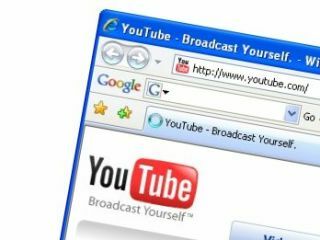 Google has announced the beta of YouTube Video Identification - technology designed to help content owners protect their copyright. The beta is the "initial development of a highly complicated technology platform," according to David King, YouTube product manager, writing on the Official Google blog. Video Identification is "the next step in a long list" of content policies and tools that Google hopes will prevent further legal challenges from content owners. Existing measures include the repeat-infringer policy and a methodology that blocks the recurring upload of identical copies of banned videos. YouTube also says it provides content owners with an electronic notification and takedown tool. In a post on its site, YouTube says its Video Identification technology "goes well above and beyond our legal responsibilities. "We have worked with Google to develop one-of-a-kind technology that can recognise videos based on a variety of factors... We will be constantly refining and improving it." According to the site, early tests have "shown very promising results". Copyright holders can choose whether they want infringing videos blocked, promoted, or even used in a revenue share. Content owners can complete a sign-up form to participate in the beta process.